We finished the award distributionour news. your knowledge. From 13th January 2019 until 11th February 2019 we held a contest named “AQUEST INSTANT WIN 100.000 AQU”. 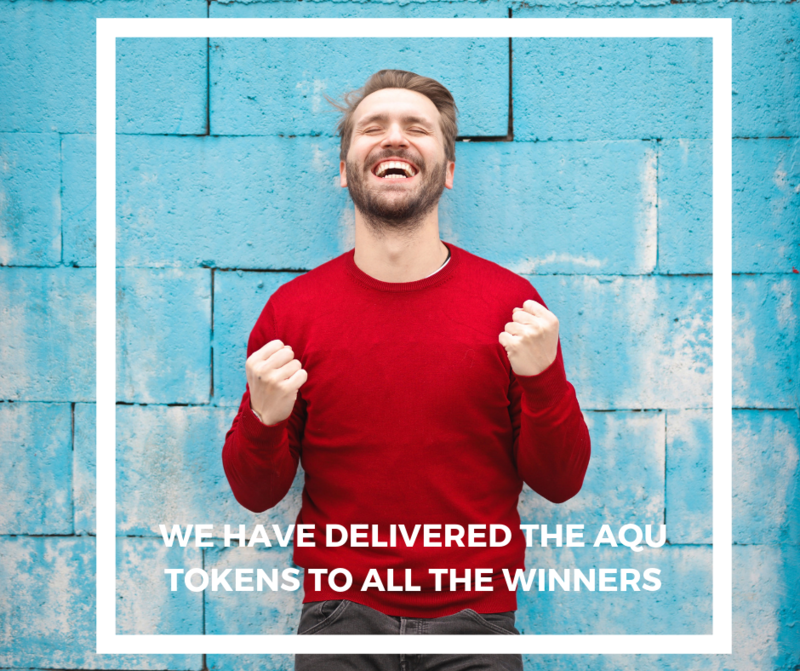 number 10 (ten) buckets of number 2.000 aQuest Tokens (2.000 AQU). number 40 (forty) buckets of number 1.000 aQuest Tokens (1.000 AQU). number 80 (eighty) buckets of number 500 aQuest Tokens (500 AQU). … and we distributed almost all of them. Congratulation again to all the winners! All quests integrate with Enkronos Apps and contribute to building a creators Users Pool. If you want to learn more about Enkronos please check out our web page www.enkronos.com and their knowledge base content.enkronos.com.